P F Adebayo, J Shola Omotola, Peter Vale. Key terms: Nigeria, Elections, Theoretical Postulations, 2007, General Elections, Succession Crisis, Nascent, Democracy, Electoral, Laws, Review, Campaign, Independent, Commission, INEC, Impartial, Partial, Democrats, Political, Parties, Reversal, Formation, Context, Labour Party, Ondo State, Godfathers, Violence, Vote Buying, Public Perception, Reviews, Muslim Civic Cultures and Conflict Resolution: the Challenge of Democratic Federalism in Nigeria, John N Paden, 2005, Making Democracy Work In Nigeria: A review of Challenges of Sustainable Democracy in Nigeria, Emmanuel O Ojo. ABSTRACT: There is no doubt that a free and fair election is a sine qua non for electoral democracy, but not every election fulfils these criteria. Against this premise this paper attempts to explore theoretical postulations vis-à-vis elections. With brief introductory remarks emphasising the importance of elections to democratic sustenance and consolidation, the paper proceeds to examine the democratic utility of elections in all regions and climes and the misconception that elections held regularly are an end in themselves and not a means to an end. 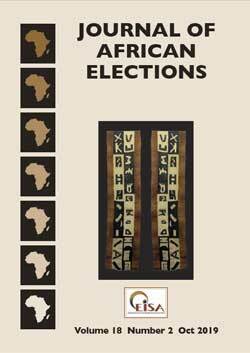 The third section dwells on the necessary prerequisites for the conduct of a free and fair election, thereby bringing out the peculiar existential reality of African politics. The paper infers that democratic sustenance via elections may not be easily attainable until African politicians become democrats themselves. This is not unconnected with the fact that no polity can nurture democracy until democrats evolve. ABSTRACT: Undoubtedly, the events of the 2007 general elections coupled with the verdict of both local and international observers clearly demonstrated that the entire electoral process was controversial, thereby making the election flawed. The concomitant effect is a crisis of political succession, which has always been the bane of Nigeria's march to democracy. Thus, the thrust of this paper is an in depth analysis of the elections vis-à-vis political succession. After an introductory overview the paper proceeds to a conceptualisation of political succession, which forms its theoretical framework. Part three dwells on the flawed elections, discussing what went wrong. The final section calls for the restructuring of Nigeria's electoral system and recommends a number of remedies. The paper, however, infers that without a credible election sustainable democracy in Nigeria may become a mirage after all. ABSTRACT: Credible elections are a salient indicator of democratic consolidation and the principal institutionalised means of forming and changing democratic governments. A central determinant of the success of any election is the institutions which structure the behaviour of participants and the choices available to them, hence their belief in pay-offs to individuals and groups. The guiding principles and regulations of the 2007 general elections in Nigeria are to be found in the 1999 Constitution and in the Electoral Act 2006. These documents not only set out the rules, the enactment of the Electoral Act usually signals the beginning of the electoral contest. The Constitution and the Act together make elaborate provision for voter registration, party and candidate registration, campaign financing and regulation, election observation, ballot design, polling stations, voting, counting, and tabulation, election management bodies, and dispute settlement authorities. This paper reviews critically the constitutional provisions on elections and the Electoral Act 2006 in the context of the challenges of achieving credible elections in Nigeria. ABSTRACT: This paper reviews the campaign strategies used in the 2007 elections in Nigeria and their outcome. The gaps between the Nigerian and global situations are also discussed and recommendations made on how to improve the situation in accordance with the electoral reforms proposed by President Umaru Musa Yar'Adua in his inauguration address in Abuja. The paper focuses predominantly on the presidential campaigns of the three leading political parties in the country, the Peoples Democratic Party (PDP), the All Nigeria Peoples Party (ANPP) and the Action Congress (AC). ABSTRACT: As a central agency in the democratic game, the role of an electoral body such as the Independent National Electoral Commission (INEC) is clearly of paramount importance in the process of transition to and consolidation of democracy. Unfortunately in Nigeria the performance of this institutional umpire since the First Republic has instead been a source of crisis and a threat to the existence of the Nigerian state. The widely perceived catastrophic failure of INEC in the April 2007 general elections was only one manifestation for the �performance crisis' of antecedent electoral umpires in the Nigerian First, Second and Third republics. The paper highlights the malignant operational environment as a major explanation for the manifest multiple disorders of the elections and concludes that INEC's conduct was tantamount to partiality. Thus, while fundamental changes need to be considered in the enabling law setting up INEC, ensuring the organisation's independence, and guaranteeing its impartiality, the paper suggests that membership of the commission should be confined to representatives nominated by their parties and a serving judge appointed by the judiciary as chairman of the commission. ABSTRACT: Political parties are not only a major agency for the recruitment and enthronement of political leaders in an electoral democracy they are the foundation and a building block of the process of democratic evolution and consolidation. However, the nature and character of the dominant political parties in Nigeria threaten the country's nascent democratic project. They lack clear ideological orientation, do not articulate alternative worldviews, rarely mobilise the citizenry, and basically adopt anti-democratic methods to confront and resolve democratic issues. Intra- and inter-party electoral competition is fraught with intense violence, acrimony and warfare. Put differently, these parties display all the tendencies and conduct of authoritarianism. The result is that what exists in Nigeria is �democratism', the form and not the substance of an evolving democracy. ABSTRACT: While principles like popular participation, accountability and majority rule, rather than institutions, define the framework of democracy the primacy of political parties therein cannot be overemphasised. Indeed, the effectiveness of political parties is directly proportional to the degree of resilience democracy enjoys. The deepening of the democratic system which should ordinarily accompany the paradigmatic shift in Nigeria's highly restrictive party formation system effective November 2002 was, however, lost through the widespread manipulation of the April 2007 elections by President Olusegun Obasanjo's PDP government. Yet the intervention of the Labour Party in the politics of Ondo State remains undiminished by the widespread abuse of the electoral process, validating the hypothesis that �the process of party formation is highly dependent on the structural and institutional context of the individual politicians �' (Perkins 2000); and that the capacity of a political party is largely a function of its organisational structure, itself influenced by the wider prevailing governance structure within which it operates. Even so, the LP faces the challenge of institutionalisation in the context in which it exists virtually in only one state, and in a country where the tortuous democratic transition trajectory is defined and undermined by the mushrooming of political parties. ABSTRACT: The paper is a critical analysis of the role of the �godfathers' in the 2007 Nigerian general elections from the perspective of the elitist concept of politics, with emphasis on its manifestation, implications and possible solutions. The main argument of the paper is that the unprecedented influence of the �godfathers' on the 2007 elections may not be unconnected with the weak institutionalisation of political parties and related infrastructures of democracy. This enables the monetisation, privatisation and criminalisation of politics, ably assisted by the undemocratic attitudes and behaviour of major political actors at the highest level. The result has been the deinstitutionalisation of core institutions of democracy and people who have been reduced to mere clients/consumers/spectators rather than primary stakeholders in the democratisation process. The consequences have mostly been bad governance and rising conflict across the country. Unless something fundamental is done to address the situation Nigerian elections, as the 2007 experience suggests, will produce little more than �choiceless' democracy. The paper concludes with recommendations for the reform of all democratic institutions and the initiation of a sustainable process of political re-engineering and social mobilisation at all levels. These are possible within a reformist developmental state. ABSTRACT: Nigeria is looked upon by many both in Africa and outside to give leadership in the best democratic practices. Unfortunately, since its independence in 1960, its electoral process has been marred by violence, the most extreme of which, until 2007, was the violence in the Western Region in 1965-1966, which ushered in the first military coup in the country. This paper examines the issue of electoral violence in the 2007 elections and concludes that it was the worst in the country's 47 years of electoral history. The reason is mainly that those who perpetrate the violence are never punished. Instead, they are protected, and their victims are denied justice. The solution, therefore, lies in enthroning the rule of law, investigating and punishing tin gods, and mobilising citizens to defend democracy, and insist that politicians, incumbent governments, and electoral administrators play by the rules. ABSTRACT: Nigeria's electoral process has been confronted with daunting and enormous challenges which bedevil the conduct of elections considered free, fair and acceptable both within the country and internationally. But a more crucial problem in Nigeria's electoral system is that of vote buying (and vote selling). This study exposes the nature of vote buying (and selling) as a form of electoral malpractice whose root causes may be linked to illiteracy, poverty and a zero-sum game of political exclusion. Overall, Nigeria needs to fight illiteracy, poverty and the practice of constitutional engineering if it is to be able to hold credible elections. ABSTRACT: This paper analyses public perceptions of the 2007 Nigerian general elections. It does this through a content analysis of the reports of domestic and international election monitoring groups and popular responses from civil society, opposition elements, mass media and notable individuals. The paper finds that public perceptions of the elections were highly negative. Opinions were canvassed widely, lending credibility to their validity and reliability, perceptions corroborated by the outcome of electoral petition tribunals which have nullified some elections. One inevitable conclusion was that the elections were the most flawed in the country's history. Some of the most notable irregularities were late commencement of voting, inadequate voting materials, lack of secrecy in the voting process, omission of names and/or pictures of some candidates from the ballot papers, prevalence of underage voting, ballot stuffing, rampant cases of ballot-box snatching at gun point, and falsification of results. Some actions of the new government, such as the call for a government of national unity and the institution of an electoral reform panel, suggest government's acceptance of the negative perceptions.